Detached bright and spacious cottage with enclosed garden at back, is even nicer than pictures, very clean and everything we needed. Kitted our also for dogs and toddlers with stair gate high chair etc. Hosts were very welcoming - just the right amount of chat and otherwise let you get on with it. Right on a busy farm so lots of interest at lambing and calving time. Beautiful views from the cottage, a really lovely spot. Would highly recommend. Gorgeous cottage, immaculately clean, lovely location and dog-friendly - we'll definitely be back! My husband and our two-year-old cockapoo had a wonderful stay at Stockman's Cottage last weekend. The extra touches were especially lovely, with milk in the fridge and delicious shortbread to enjoy. The whole cottage was immaculately cleaned and our dog loved exploring the large and enclosed garden. 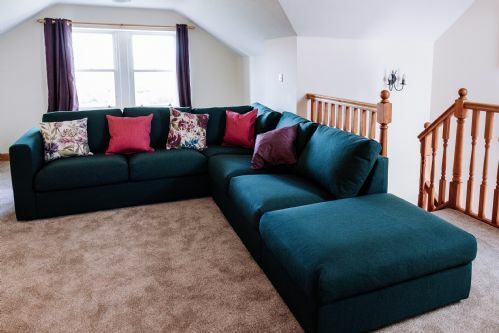 We loved sitting upstairs in the spacious lounge on the comfortable reclining chairs looking out at the gorgeous view. 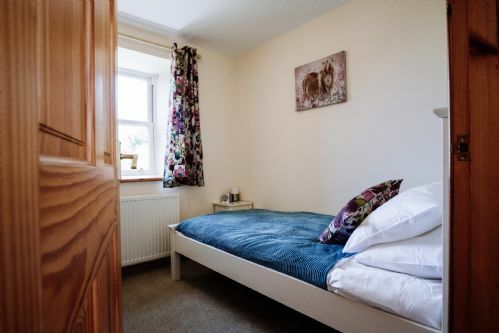 The town of Kirkcudbright is a great place to wander and the cottage is also well placed for other locations - we visited Dumfries, Castle Douglas and also Galloway Forest Park and Auchencairn Bay for stunning scenery and great dog walks. 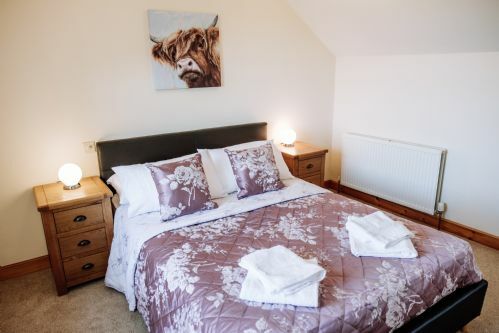 We're already looking forward to returning for another stay at Stockman's Cottage next year! Many Thanks for our stay in your wonderful cottage. We had a great stay. 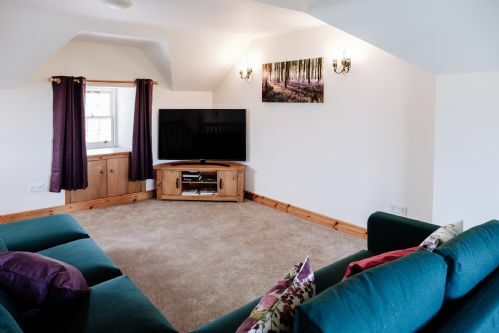 The cottage is much bigger than expected, immaculate and well equipped. We enjoyed watching the farming activities and meeting the new puppy. Anne very kindly left a couple of birthday treats for my daughter, balloons, a child friendly beverage and a box of chocolates. A lovely touch. Thank you very much for our stay. We have already recommended you to friends and family. Ps. Anne's kindness extended to posting a pair of socks my daughter had left behind, a really lovely gesture. Very Nice Place to make Holidays. The Cottage is nice. You can make a Lot of Tours in this Location. This is a really lovely cottage. Very well equipped- even has Netflix which we don’t have at home! Beautiful view from the living room. Good sized kitchen. Nice secluded garden. Comfy bed. Within walking distance of the town. I left my kindle and the owner kindly sent it to me. This was our first visit to the area and Stockman's Cottage, but what a great find . 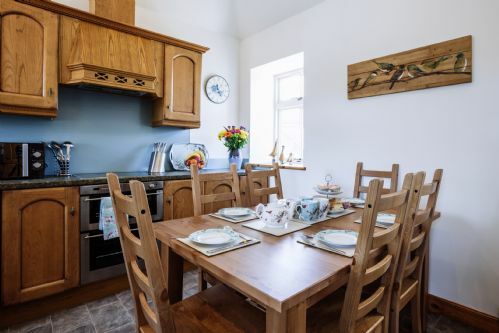 The cottage is placed in a lovely position , being quiet and it has great views, yet local to the town and some great places to walk nearby on the Solway coast. We will definitely be returning next year to explore this area further. Anne was extremely welcoming and we just felt so at home in this lovely cottage. It was great to read a book at the end of our day walking, looking out over the inlet in Kirkcudbright and watching the sun go down from the upstairs sitting room. We were very blessed with great weather. 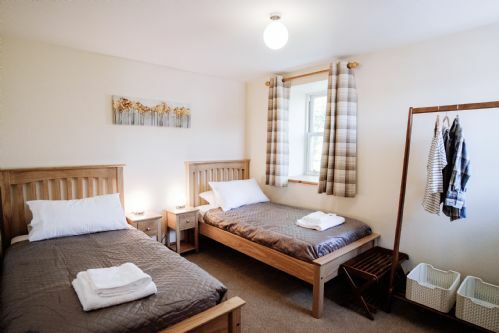 A perfect stay for a family holiday! 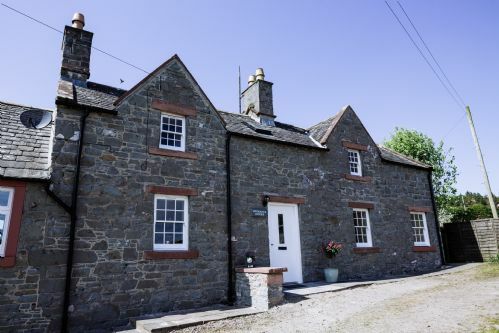 Stockman's Cottage is a gem of a find and is brilliantly positioned for a family holiday on the south west coast of Scotland. The cottage is located just outside of Kirkcupbright, directly on the Cannee Farm. There is sheep, cattle and chickens to see and watch from the front of the cottage. The rear offers spectacular views of the town and harbour. You can also see the sunset fall over the hills. Anne has done a sterling job of the cottage. It's clean and very well presented. As an absolute bonus, there is lots provided for kids including a cot, high chair, plates, cutlery and toys in the living room. There is fast internet provided with a huge digital tv so you can't get bored. We look forward to staying again in the future.